What Is Feline Hepatic Lipidosis or Fatty Liver Disease? What Is Feline Hepatic Lipidosis? Geriatric cats are prone to a number of diseases and conditions. One of the more common ones is Fatty Liver Disease, sometimes called Fatty Liver Syndrome (FLS), which is an accumulation of fats, lipids, in the liver tissue. Although the disease is presently considered idiopathic, no known cause, it is thought that it might result from the way cats metabolize proteins and fats. Lacking food, the body starts sending fat cells to the liver to process into lipoproteins for fuel. Cats' livers are not terribly efficient at processing fat, and much of the fat is stored in the liver cells. Left untreated, eventually, the liver fails and the cat dies. The cat may salivate excessively or vomit. The cat may become very lethargic and may show jaundice (yellowing of the skin) and icterus. Anorexia and weight loss can also be symptoms of other diseases, such as liver cancer or pancreatic disease. Fatty liver disease can only be accurately diagnosed conclusively through tests. A complete blood profile may indicate increased liver enzymes, and the diagnosis can be confirmed with a liver biopsy done under light anesthesia, with a large needle through the skin. Although primary FLS can be readily treated if caught early, when left untreated, the disease moves rapidly and is always fatal. The treatment for Fatty Liver Disease is dietary and works quite well in reversing the condition if diagnosed early. The idea is to force feed the cat enough nutrients to reverse the metabolic malfunction that caused the condition in the first place. This is usually done with a feeding tube which is inserted into the esophagus or stomach by a veterinarian. The cat's caretaker then mixes a formula in a blender and using a syringe, feeds a small amount down the tube several times daily. After a few weeks of the forced diet, the cat can be offered food normally, to test his appetite, although the tubal feeding may need to be continued for up to six or eight weeks until the cat's appetite has fully returned to normal. Some caregivers who hesitate to encumber the cat with a tube have been successful with syringe feeding directly into their cat's mouth. Extreme care must be taken to feed slowly into the side of the mouth, to prevent aspiration of the food. A formula can be blended with a soft palatable food such as Hills A/D, mixed with low sodium broth or water. Your own veterinarian may prescribe a different formula for your cat. It is not unusual to see Fatty Liver Disease follow in a cat who is being treated for cancer, FIV, FeLV, or other serious conditions. This is likely to happen because a sick cat simply does not feel like eating, although there may be other factors involved. Cats presenting advanced symptoms (jaundice, seizures) will require hospitalization. Fluids may need to be injected to reverse dehydration, and if liver failure is present, the ensuing toxins will need to be dispersed. Other conditions which need veterinary intervention may also be present. The good news is that with aggressive nutritional treatment, a cat can fully recover. One veterinarian estimates a 90% recovery rate if a cat with FLS is treated early enough. 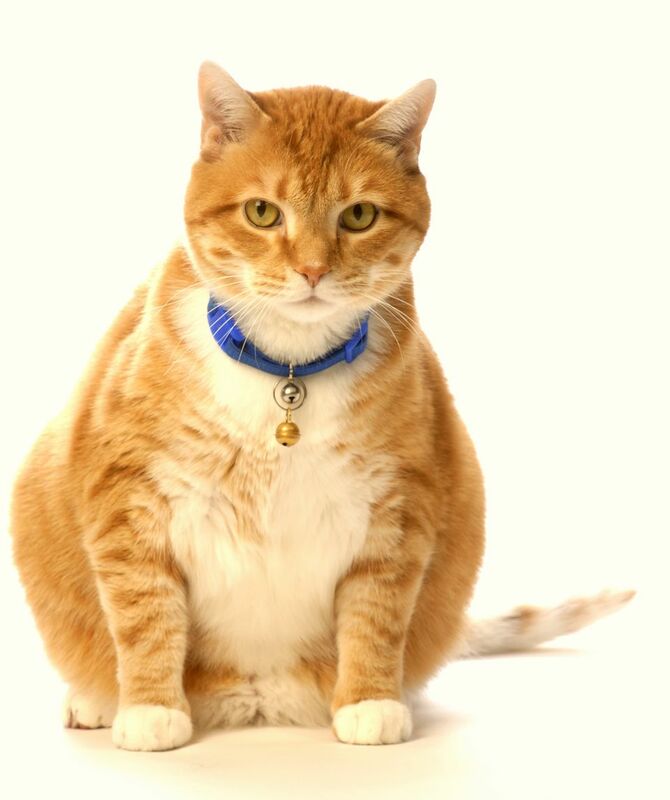 Even if a cat has not yet developed FLS, a sudden and serious weight loss should be viewed seriously, and the cat should be coaxed to eat, in any way possible. Trying to tempt an anorexic cat to eat can be a frustrating experience, especially with an older cat, that might be easily stressed. I've assembled a list of helpful things to try, gleaned from suggestions by About Cats Forum members, as well as my experiences with my cat Shannon, who became anorexic in his final stages of FIV and CRF. Dehydrated cats quickly lose their appetites. In fact, anorexic cats are more often than not dehydrated. Try flavoring his water with a small amount of sodium-free chicken broth, or even giving watered-down chicken broth a small teaspoon at a time. An automatic water dispenser may also tempt him to drink more water, which will also help guard against urinary tract problems. If your cat steadfastly refuses to drink fluids, subcutaneous fluids can be given at home. Older cats' olfactory senses may deteriorate to the point that they can't smell their food. Try warming a small amount of canned food in a microwave oven. If it's too hot, add some more food right out of the can until it's a little warmer than room temperature. Then hold the dish right under his nose and let him get a good sniff. Alternatively, mix a small amount of hot water in the food and stir until it forms a sort of "gruel." Sometimes a senior cat's teeth and/or mouth may be sore, and they'd prefer a much softer food they can lick, rather than "chew." Plain canned pumpkin is loaded with vitamins, and more importantly, fiber. Most cats love the taste. Offer a small amount on the tip of a teaspoon, and if he likes it, give up to two teaspoons a day. Constipation goes along with anorexia, and the pumpkin will help. Plain meat is preferable, and make sure it doesn't contain onions. Try a number of flavors until you hit on one your cat likes. Try Tuna Juice: Although tuna is not generally recommended in quantity for cats, try adding some tuna juice to his regular food to spice up the taste. Use the water from albacore tuna, rather than the pink varieties. Kitty Kaviar: This is available from most larger pet food stores. It is made of dried bonito, or tuna, and is irresistible to cats. Dried bonito flakes are also marketed under Seagate Pet Gold Dried Bonito Flakes. You can also purchase dried Bonito flakes in bulk at some health food stores, or Asian markets which are more economical. Tuna Dash: Dried powdered tuna. Jack Mackeral: Either chop up over his food or offer separately. The point is that "desperate times call for desperate means," and right now, your main consideration is not in what your cat is eating, so much as actually getting him to eat something. Any cat, particularly an older one, that stops eating and loses weight rapidly should be taken to the veterinarian immediately because anorexia and weight loss can be symptoms of a number of other diseases. Discuss these suggestions with your veterinarian, since each cat has a different health history.